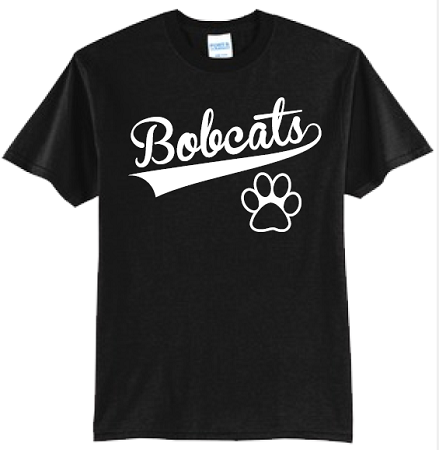 Perfect for Friday Spirit Day -- the East Valley T-shirt! Or wear any other day!!! Port & Company Men's t-shirt that is both comfortable and durable. Black with white EVMS logo. 50/50 Cotton/Polyester, shrink and wrinkle resistant for good looks that last. SIZES: Youth Large and Adult S-3XL. NOTE: Place your order, then have your student bring in the printed receipt to pick up the item from the Front Office. If correct size is not in stock, a refund will be issued. Item will not be shipped.